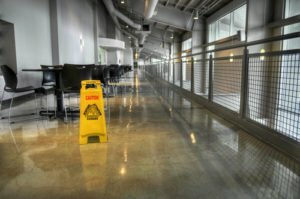 In the event of a slip and fall accident, there are some measures you must take. First, of course, is the obvious need for medical attention in the case of a serious injury. This is important to keep your health condition monitored and to bar the situation of escalating medically. The order necessity is to inform a credible slip and fall accident attorney in the case of a serious injury. A good attorney is one who not only carries out professional representation but also has a track record to support his claim of excellence. At Rawa Law Group, we have a number of tested and trusted legal practitioners that will help you have a full grasp of the law and your rights as regards the slip and fall accident. Our professionals will work together with the in-house investigators to help ascertain the cause of the fall and dutifully counsel you on the next course of action. With us, you will get full and free private counseling sessions, clear argument buildup and proper representation finally in court just as we’ve done for several others here in Corona, CA with success. You are not obligated to make any remuneration until we have made you money. That way you can relax on the pressure to meet up financially. You will also enjoy our relentless and devoted representation before the jury by our highly esteemed legal professionals. Take advantage of our free consultation services today and let us discuss how best we can be of service to you. Hire a reputable slip and fall accident attorney in Corona today.